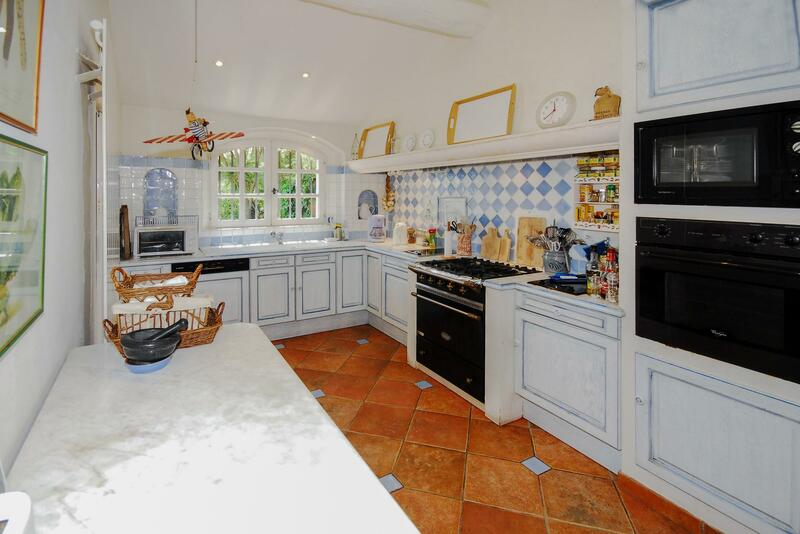 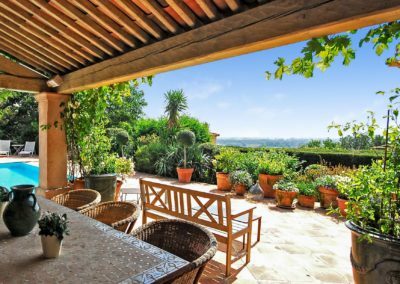 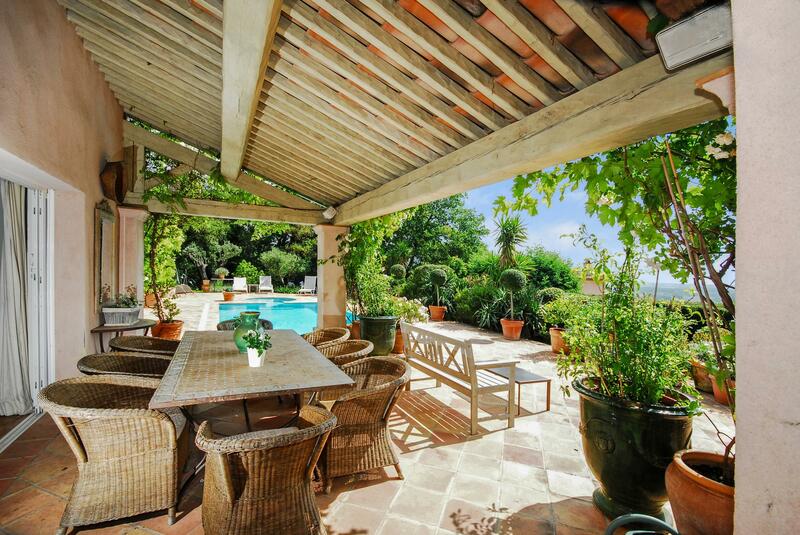 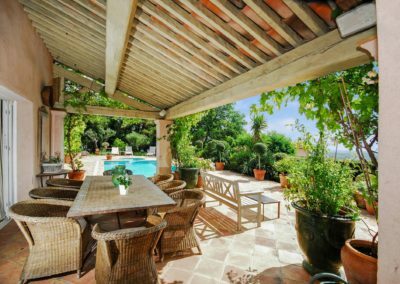 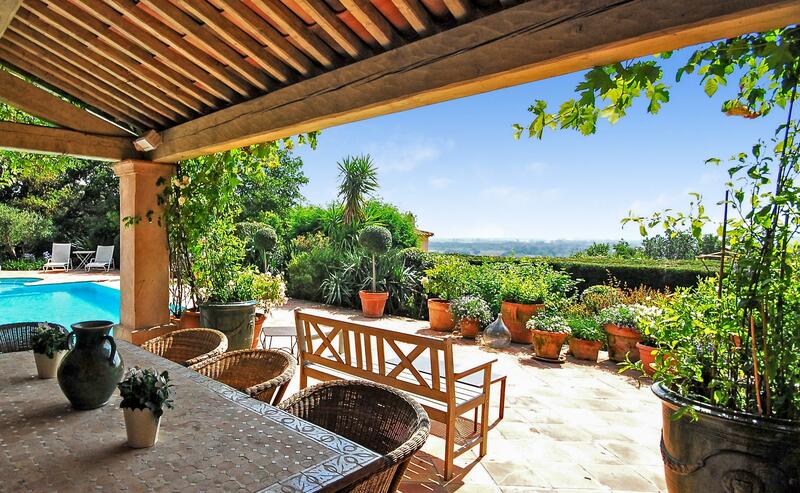 Villa in Grimaud for holidays in St Tropez – Villa Grimaud sits in a sought after region of the Riviera with distant sea views of the Gulf of St Tropez. 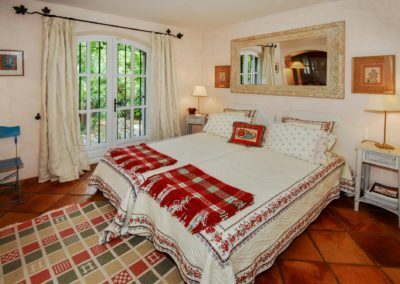 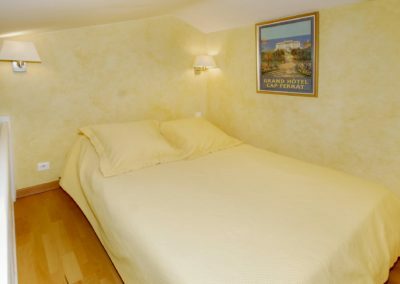 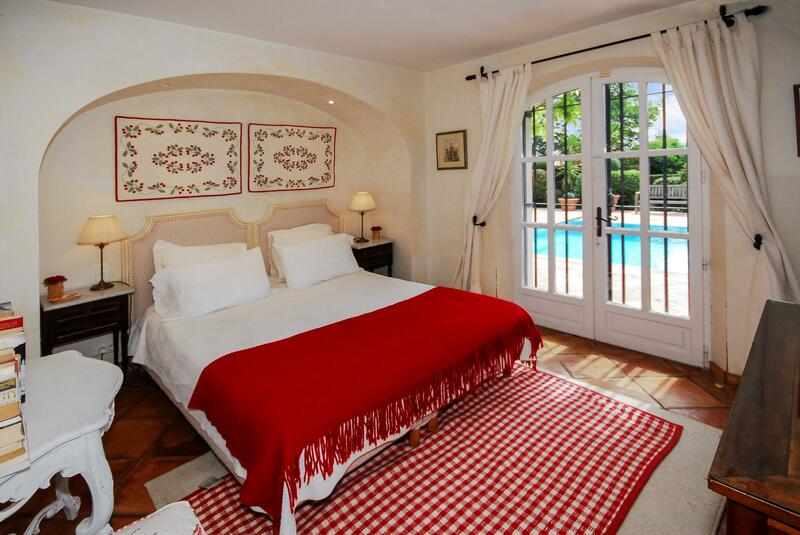 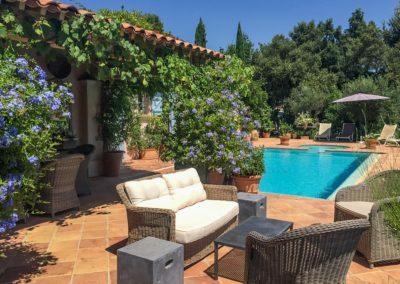 It is peacefully located on a domaine on the edge of the old town of Grimaud, which has a small selection of shops and cafes. 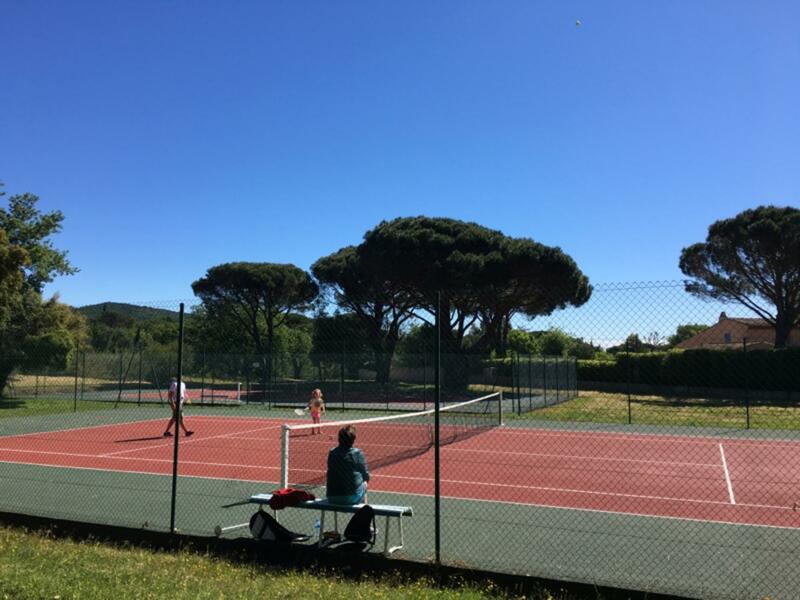 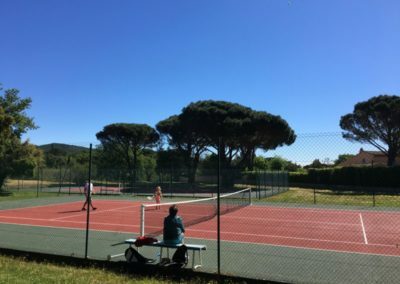 Guests are welcome to use the 2 tennis courts on the domaine. 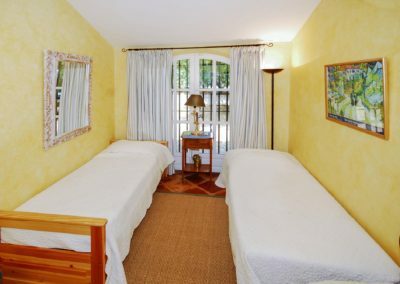 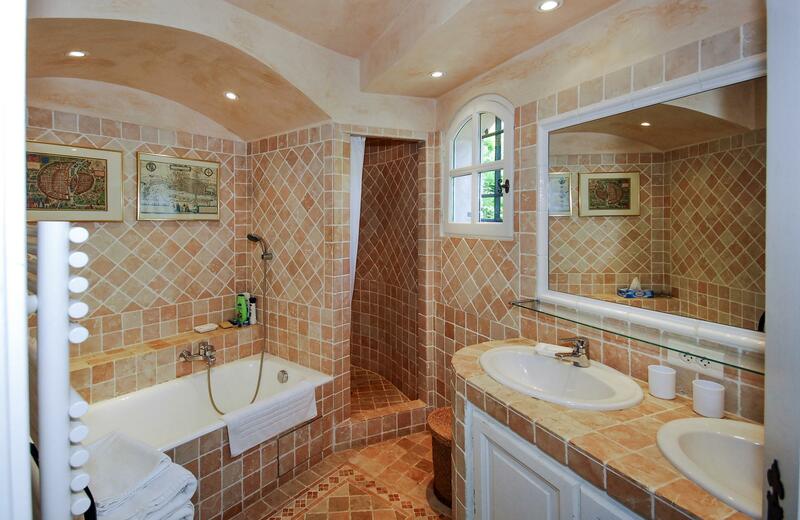 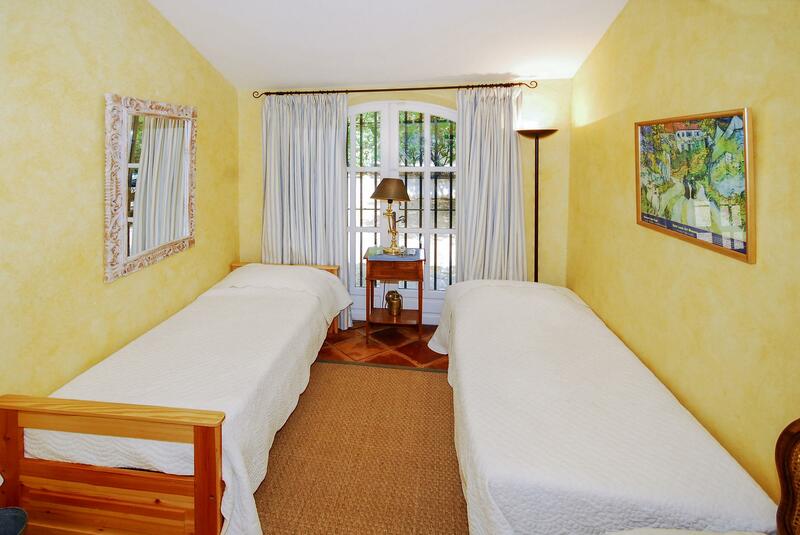 This comfortable villa is not large, but has all required to make a holiday here a special experience. 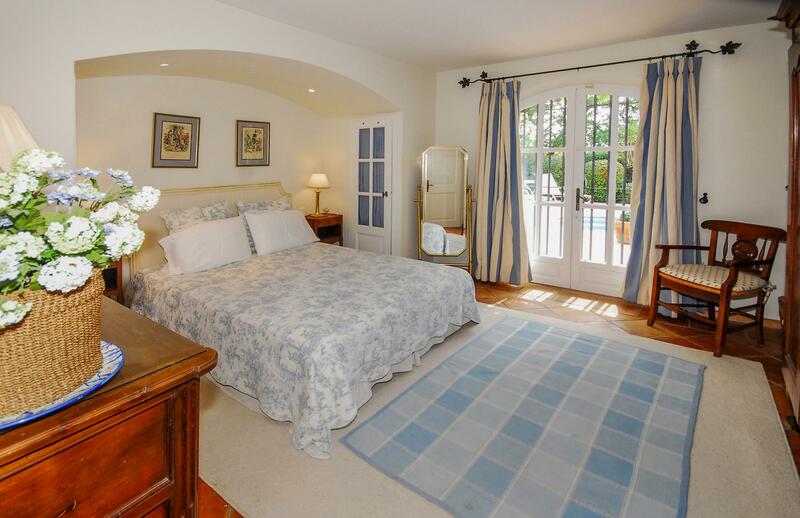 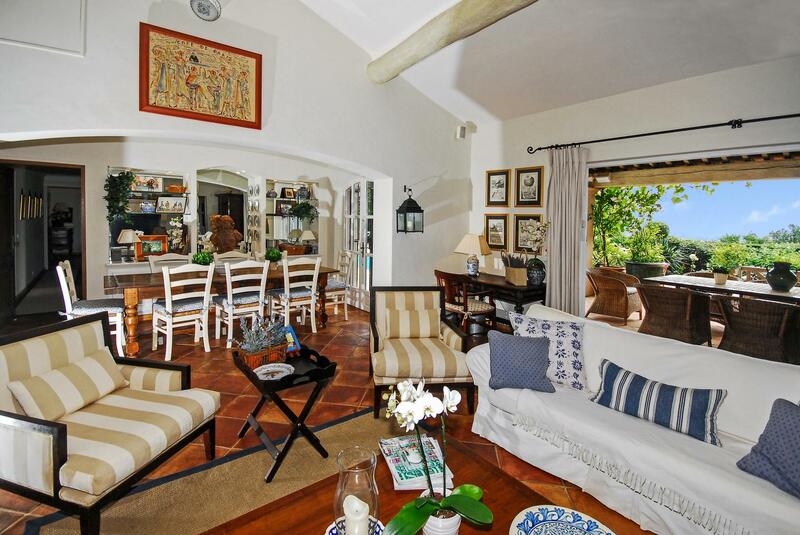 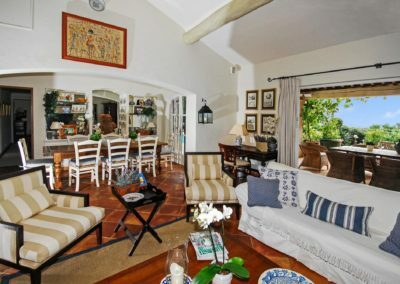 Furnished by a professional designer with antiques and soft fabrics, it has the unique qualities of a private home together with all the necessary modern devices. 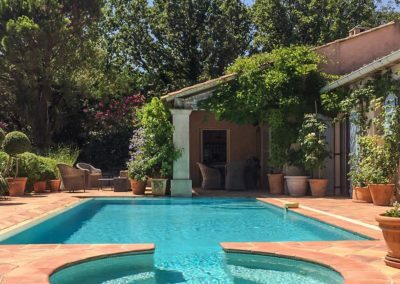 And with both the pool and outdoor dining terrace right next to the house, it is perfect for summer living, and for dipping in and out of the pool to cool off between meals. 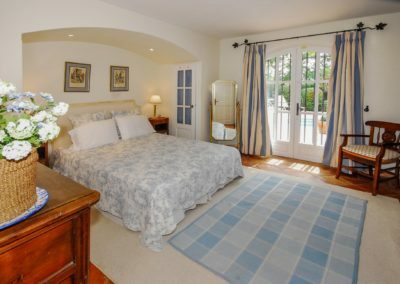 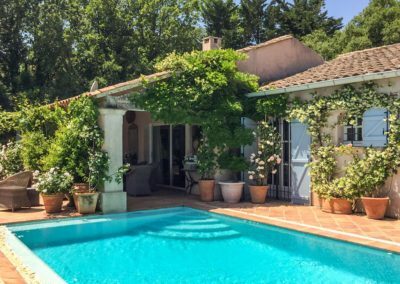 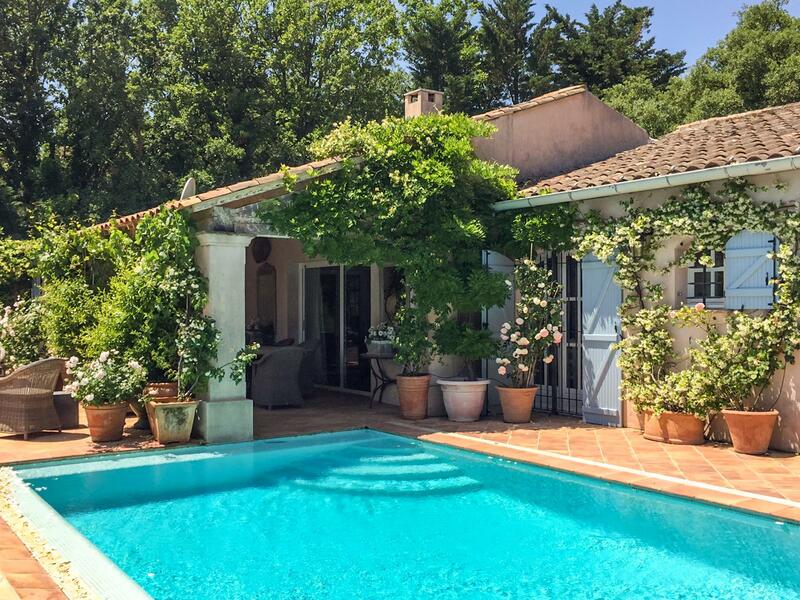 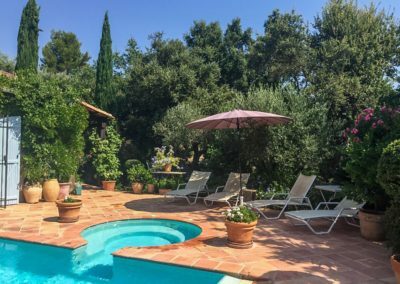 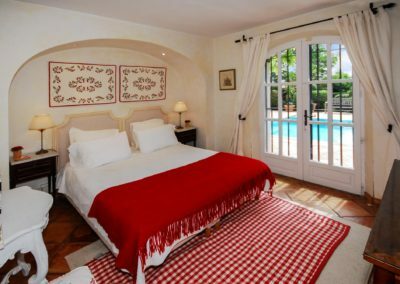 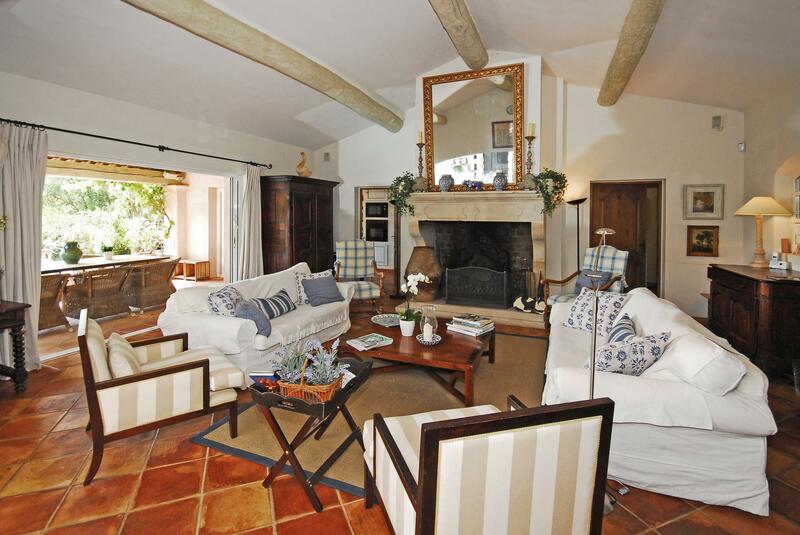 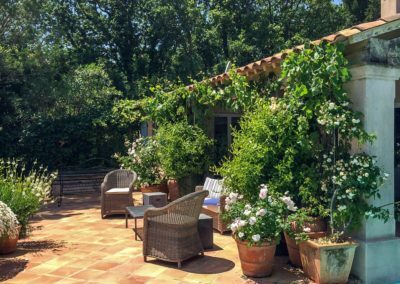 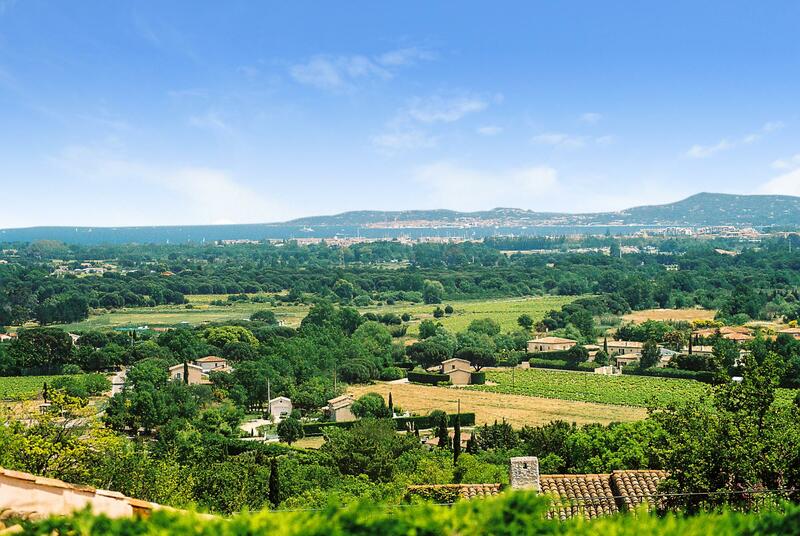 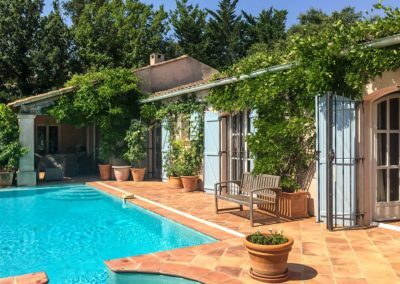 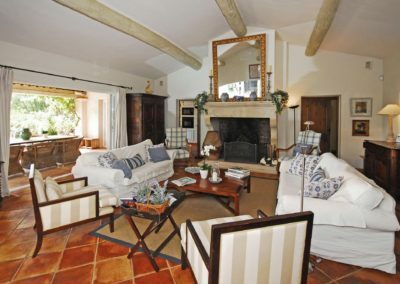 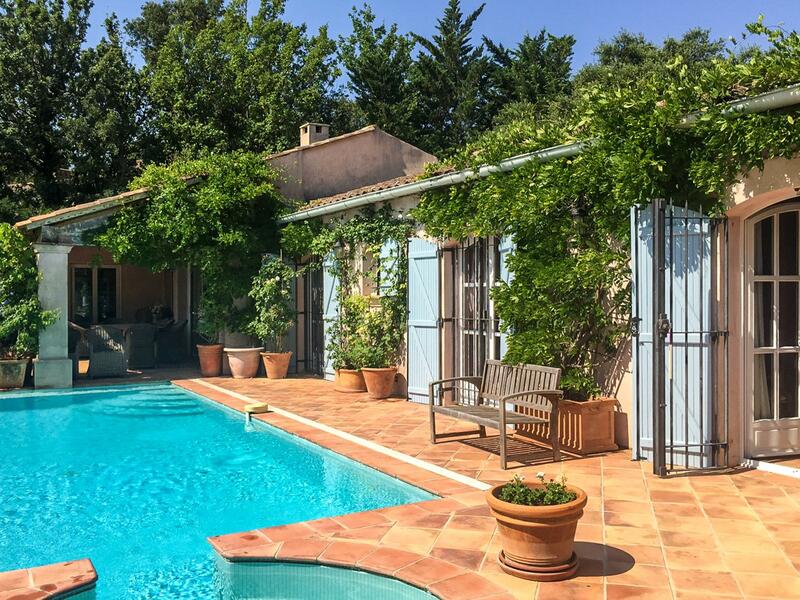 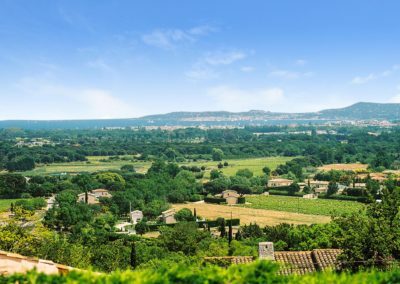 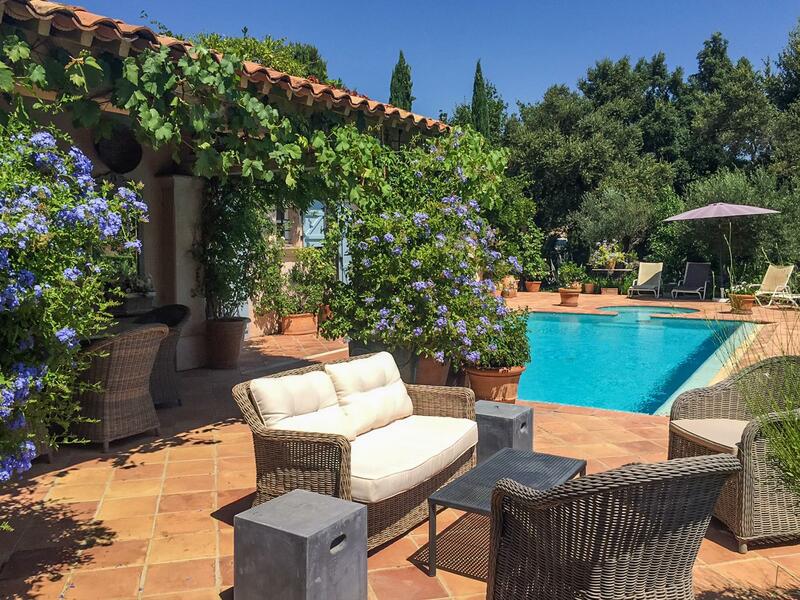 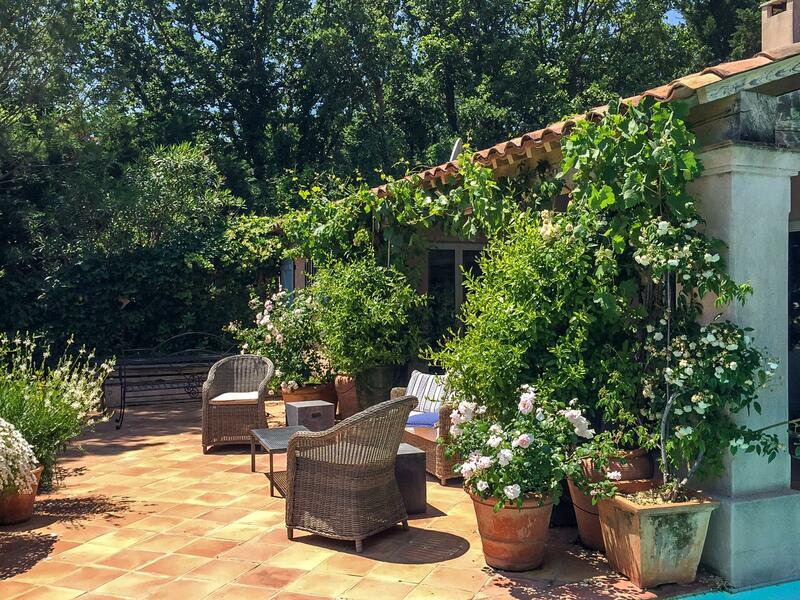 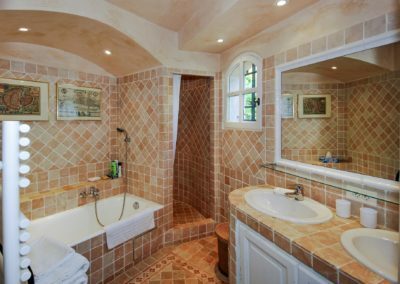 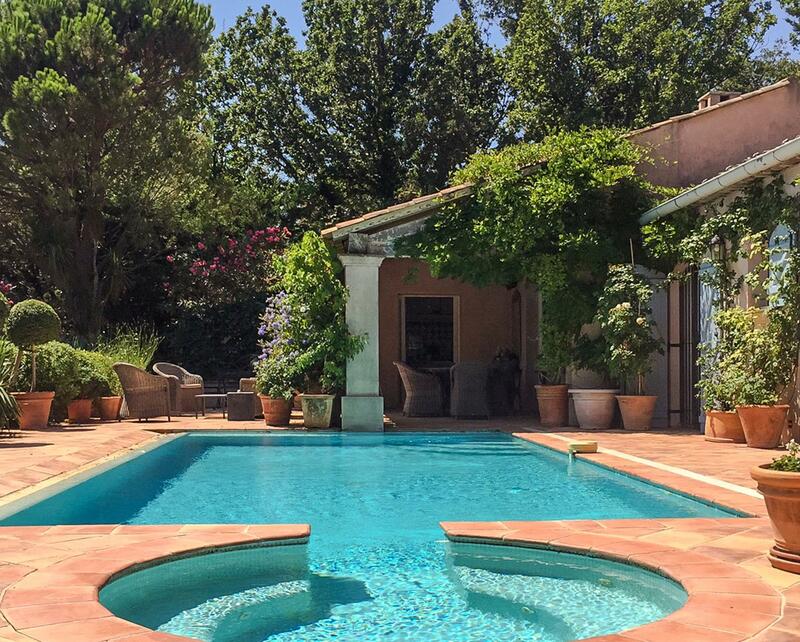 Villa Grimaud is perfectly situated for you to enjoy the wealth of local hilltop villages, visit the plethora of small vineyards, soak up the chic atmosphere of St Tropez, absorb the quaint charm of Port Grimaud or to simply spend a day at the beach.